The Supply Chain Initiative aims to ensure that companies address disputes in a fair and transparent manner. It provides dispute resolution mechanisms in case of an alleged breach of the Principles or of the process commitments laid down in the Framework for implementation and enforcement of the Principles of Good Practice. An individuall dispute is a dispute arising between two companies regarding an alleged breach of the Principles of Good Practice. 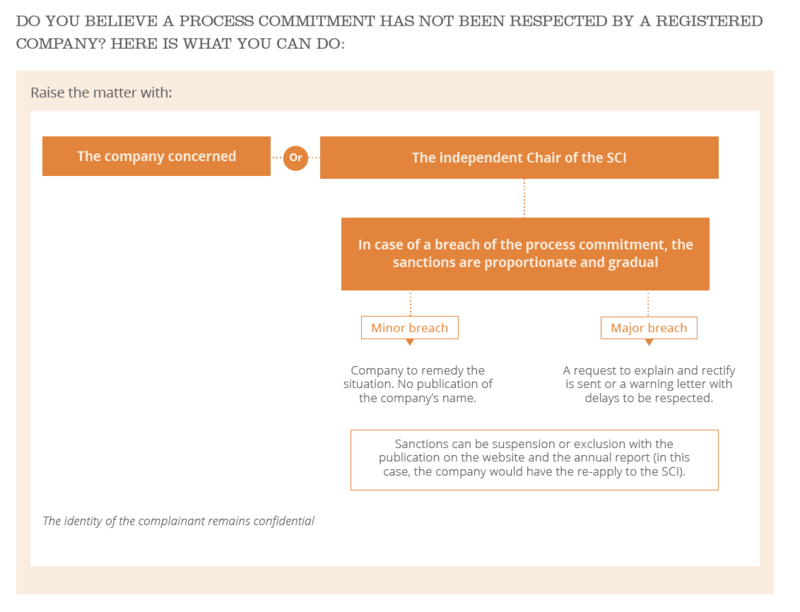 An aggregated dispute is a dispute regarding an alleged serious breach of the Principles of Good Practice introduced to the SCI Chair by a group of companies or an association acting on their behalf.